Looking back, I can see how it happened – on Tuesday I treated myself to a walk in to work with a latte rather than cycling in, and started the week in a really good mood. Having cycled to work every day for most of my working life, it’s really nice to not have to concentrate on the road and just amble along with my thoughts every now and then. 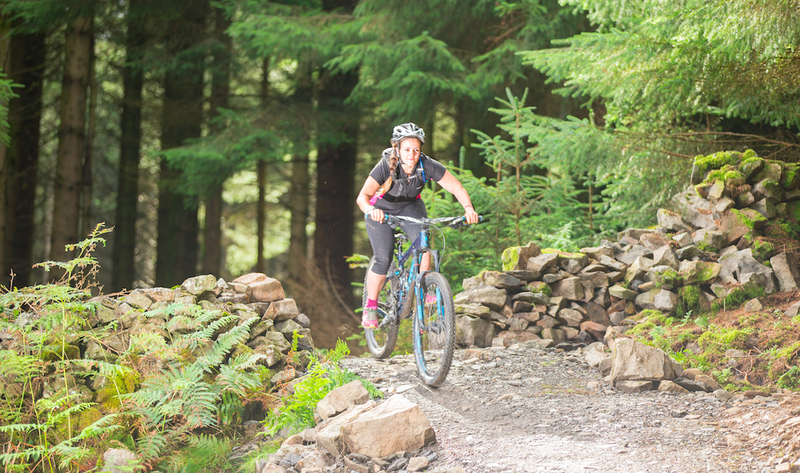 Just back from an adrenalin-fuelled few days caving, mountain biking and climbing with hubs to celebrate our first anniversary, (more on this later), I was feeling refreshed and energised as I entered the hive of anticipation that is race week. There I was, minding my own business at my desk, when my mind wandered to the tri once more, and my tummy turned and heart fluttered in the way that it does when I’m about to step into the unknown. For the first time since I signed up for this race, I was excited. I’ve wanted to do a triathlon for a couple of years now, and having only learnt to swim front crawl at the end of last year and realising pretty swiftly how difficult swimming actually is, a cloud of self-doubt has been following me around all throughout my training. Yes, I can now swim, but not very fast. Yes, if I actually try, I can do bilateral breathing, but not for more than a length before having to pull the nose clip out again. Yes, I’ve improved my stroke with help from friends at BTRS, but I still can’t swim 400m without stopping for a breather or two. I get overtaken by people doing breast stroke nearly every time I visit the pool (I still definitely CANNOT do breast stroke – note to self: do not employ this as a race tactic when tired of front crawl). What if I get swam over? What if I get flustered and can’t finish the swim? What happens if I’m last out? What if I freak out at being in open water and being out of my depth? I’m not a negative person in any shape or form but these doubts, these buts and what if’s and can’ts, they’re ruining my zen and I’m tired of hearing myself tell people I’m scared, and not ready and ‘need to sort my stroke out’. I like to see the best in things, the opportunity for progression and change – the excitement of overcoming a new challenge. If something’s difficult, it’s worth doing, because the journey requires commitment and the reward of accomplishment is tantalisingly sweet. I can bask on the endorphins for days. Zone 3 trisuit is great. So when that fleeting feeling of adrenalin flowed through my body on Tuesday morning and the dread that had enveloped my mindset was shoved aside to make room for excitement, I knew I could say goodbye to the negativity. I shared a doubty Facebook post after my lunchtime swim and got bombarded with messages from mighty triathlete friends, including a few iron distance superheros telling me to relax, and swim long and with grace, and to just ENJOY IT. They’ve got a point. Why would I do this if I didn’t enjoy it? What’s the point in getting all stressed about it? It’s my choice to do this, my decision to go after those endorphins, no-one’s making me, and I’m sorry Negative Tess, but if you think I’m gonna let you ruin it for me you can jog quite swiftly on. I’ve booked in a lunchtime pre-tri massage to ease the knots in my shoulders and back. I’m gonna wake up naturally, saunter down to work latte in hand and be productive, and focused and free. How do you cope with self-doubt when training for a new race? Previous Post NATIONAL FITNESS DAY – GET FIT FOR FREE!